My ankle is doing much better. I got to take my walking boot off on June 23 and have been getting treatments ever since to get my strength and mobility back. It really as easy as I thought it was going to be. I half expected to take the boot off and start running down the street, but that's not quite what reality turned out to be. 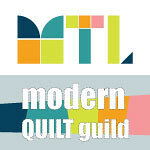 On the quilting side of things, I've been making great progress. 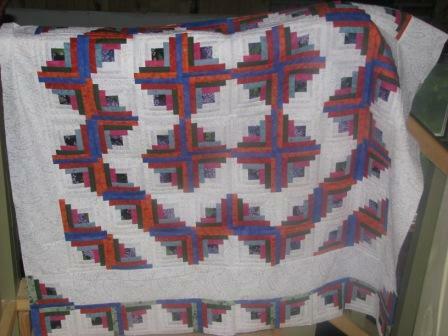 I finished the log cabin quilt I mentioned in my last post and it's looking very nice. I just love the look of log cabin blocks! I also started a new quilt with 2 1/2" strips. 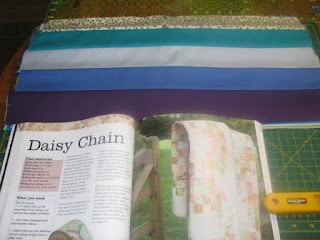 This pattern is called Daisy Chain and I found it in a book full of Jelly Roll patterns. This particular quilt calls for 60 strips of different small prints and the backgroup fabric is supposed to be a solid cream or white. Instead, I chose solid strips in tones of blue, purple and green and the background fabric is a beautiful cream with butterflies and dragonflies in the same colour families. I think this is going to look very pretty! 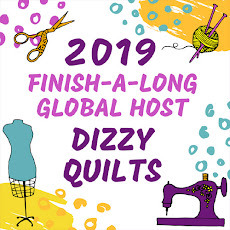 I have many tops that need to be quilted now and because of my ankle, it's very difficult for me to get down on my hands and knees to prepare the quilt sandwich. I just hope this gets better really soon because I have to finish the purple quilt I made for my colleage who's getting married in September. Hopefully, I'll be able to work on the Daisy Chain quilt this coming weekend and maybe even prepare one sandwich for quilting.